Repealing the European Communities Act is meaningless: it would cease to apply soon as we left the EU, because there would be nothing new to implement (apart from all the things we would still need to follow to have continued access to the single market). For those who claim Brexit is about “taking back control”, this is the opposite: it explicitly writes lots of EU law into British law, at a stroke causing Brussels to create British law as never before. What’s rather sharper is how the judgements of the European Court of Justice will apply. At the very least, case law from the ECJ has a bearing on how EU-derived law has been shaped, and therefore on what is being brought into British law. To be faithful to the process of writing things into British law, British courts would still need to take note of rulings from the ECJ. If it exactly transposes things into British law, then decisions of the ECJ would continue to have full force on the UK. Even if that is softened, if we are to continue trading with the single market we will need to continue complying with EU law, interpreted by the ECJ (though without the ability to alter it). If the intention was for this to change nothing, then we’d carry on as before, with Brexit making very little difference. 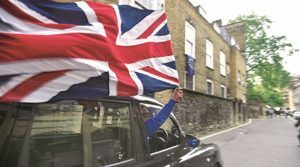 Disentangling British and EU is a big task, and too big for parliament to do with proper scrutiny at any speed, so the proposal is for parliament to delegate the power for much of this to the government. That actually gives huge power to No.10. In the best-case scenario, these powers will be used wisely to sort out irregularities. In reality, conferring huge powers on the Prime Minister and hoping she will use them wisely is rather optimistic. At the very least, some mechanism of checks and balances is needed. In any case, moving powers from Parliament to the prime minister is the opposite of “asserting parliamentary sovereignty” or “taking back control”. If the Tories had come back with a huge majority then I would be concerned about this in principle, but in practice there might not be much difference between ministers making decisions off their own bat or parliament rubber-stamping them. But this is a minority government that has already dropped significant elements of its manifesto before the Queen’s Speech, so the effect of giving extensive powers to ministers is to sideline parliament and avoid the need to seek consensus there. Will we see ministers approving things that parliament would not? That should worry anyone concerned about the sovereignty of parliament, and about important decisions being made by a remote cabal in London. People who voted Leave to “take back control”, to oppose tiny elites having too much power, and to claim sovereignty generally, and particularly the sovereignty of parliament, should be protesting loudly against this. That means many of those who voted Leave should be objecting. Their silence only makes sense if the Leave vote was about things other than the EU. There is probably no alternative to this bill if Brexit is to happen as the Tories propose. Its serious inadequacies show how poorly-conceived the whole enterprise is, and how unlikely it is to give people what they thought they were voting for. The EU works hard to protect democracy in its own processes and in the member states. It is horrifying, but not surprising, that a key part of the Brexit process is an attack on Parliament and an undermining of British democracy.